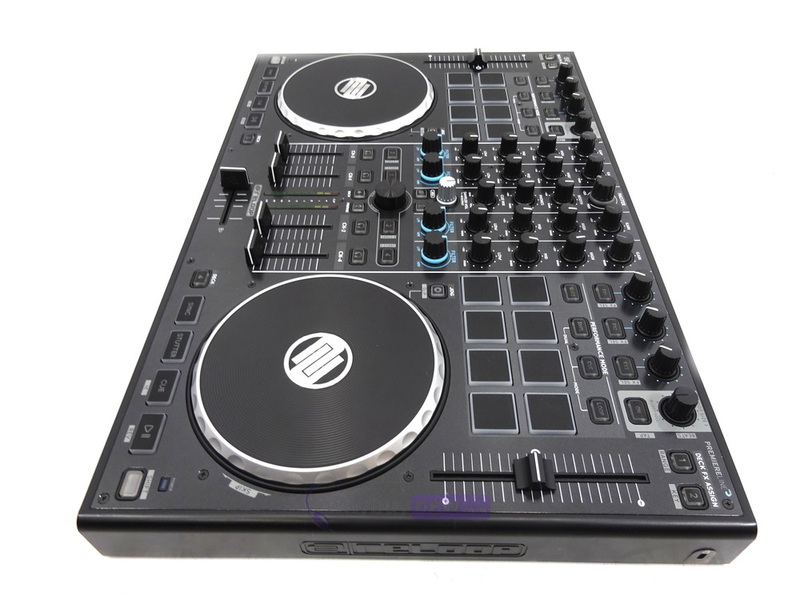 This Reloop Terminal Mix 8 Serato DJ Controller has come to us via a part exchange and comes with a 6 month warranty. It comes with the USB cable, power supply and the original box. The Slice and Loop modes allow creative re-arrangements on the fly. 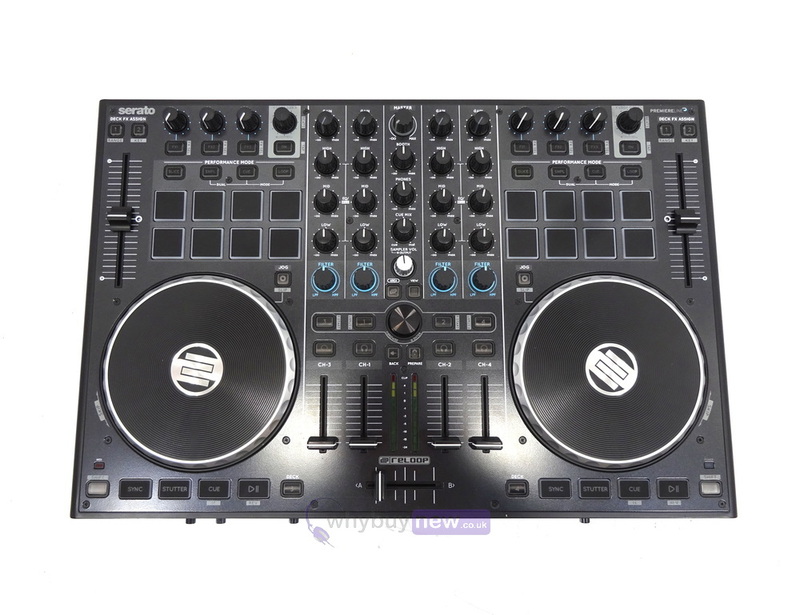 With the Slice button activated, the playing track will be chopped up into 8 equal parts that are distributed across the respective drum pads offering DJs quick access to on-the-fly musical mash-ups. In Loop mode it is possible to store and trigger up to 8 loops with varying lengths. The loop lengths can be determined in real time by the dedicated loop size encoder for fast auto loops and loop roll effects. 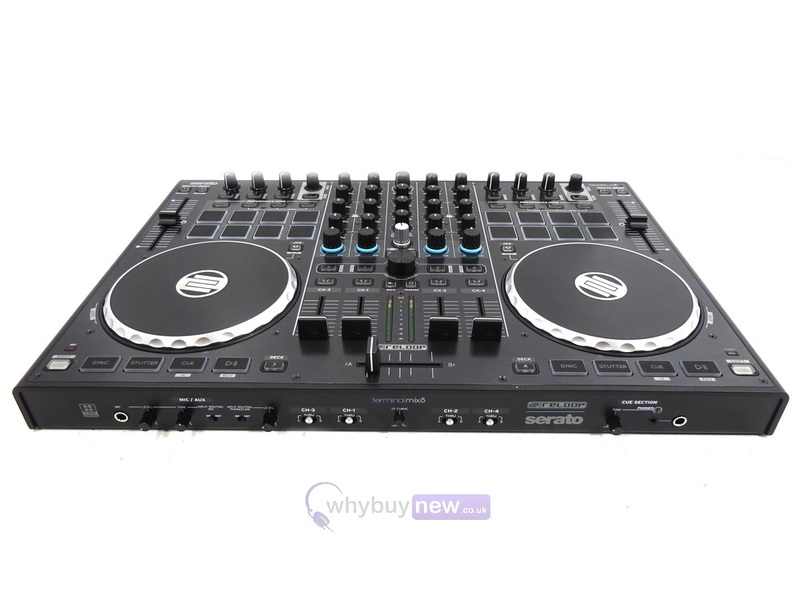 The colour-coded pads allow visual feedback regarding status and selection of the selected performance mode, so even in dark club surroundings DJs can easily distinguish which mode theyre in. In DUAL mode 2 modes can be combined for an even more advanced show. By activating this mode, the upper row of drum pads can be set for one performance mode, with a different selection applied to the bottom row. This means you could access the SP-6 sampler with the top row, while the lower row can access loops at the same time opening up new realms of possibilities. 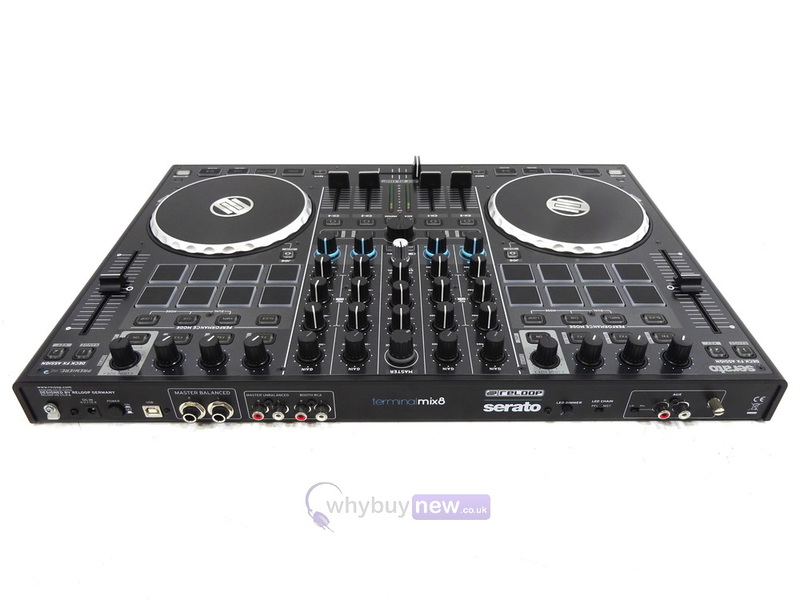 The extensive effect section offers 3 rotary knobs, an endless encoder and 4 buttons, making it easy and intuitive to control the complete range of Serato DJs iZotope-powered effects. (FX-Engine by iZotope). The clearly structured, ergonomically intuitive mixer/player design is ideally suited to a professional DJs traditional workflow, and offers new improvements on previous Terminal Mix models. 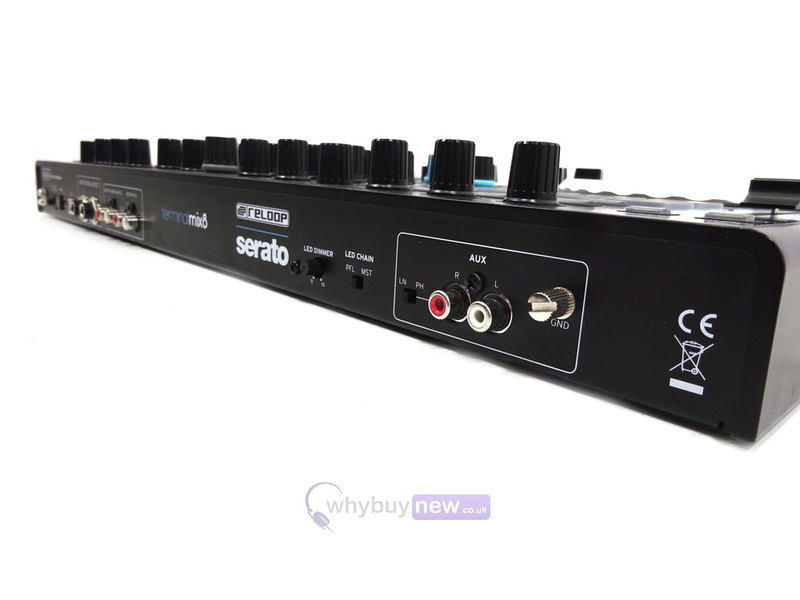 The large, rubberized filter knobs on each channel enable especially smooth filter sweeps. 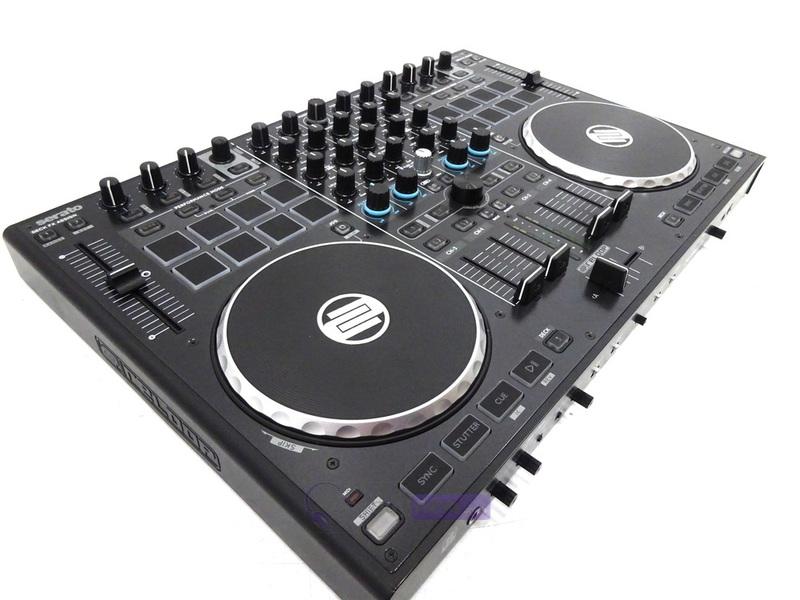 Smooth fades and hard cuts can be carried out effectively via the high-quality, club standard faders including the adjustable crossfader curve and assign buttons on the front of the TM8.